Congratulations on winning the Emmy for Outstanding Supporting Actress In A Drama Series for her role as Mags Benett in "Justified." 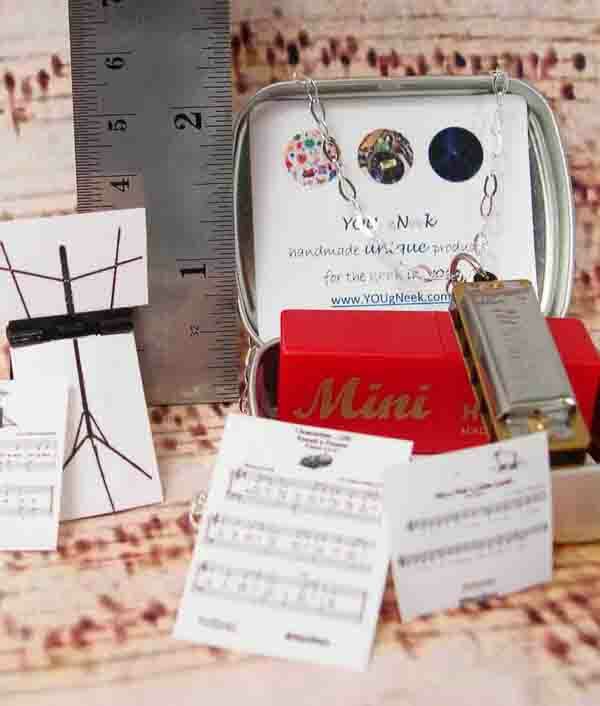 We enjoyed meeting you Margo and we are so very impressed. 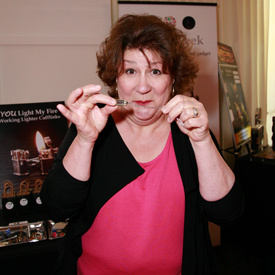 Margo Martindale is known for her works: "Million Dollar Baby," "Justified," "Mercy," "Dexter," and much much more. Note: YOU gNeek neither states nor implies that any of these celebrities endorse our products. 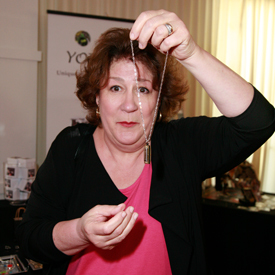 We sincerely thank Margo Martindale for taking pictures with our functional jewelry. Wow! You look great!